We are not advertising this tea drink ^^. We are simply testing its durability and posing with it. Ginger Spiel: A bottle... I love it. I'll bite it. Make noise with it. And even annoy humans with it. But first, I'll wait for you take my picture with it. Peanuts Spiel: Chomp, Chomp, Chomp. Can you hear me now, Haopee? Looks a great noisy dog toy. I know, they love noisy plastic bottles. Fred always goes for the cap first! Yet another toy that My Vickie won't let me play with. So I tend to chew up and swallow everything, is that a reason to not give me toys. Thankfully she makes up for it with lots of trips to the river. Oh yeah - aren't bottles just the best!! 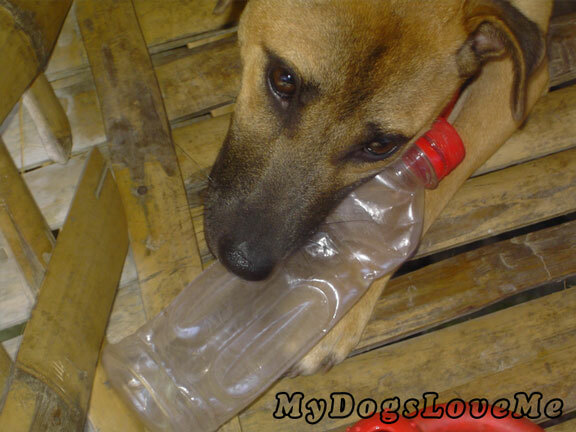 Dogs seem to love those plastic bottles, I think it is the combination of crackliness and chewability. Sometimes I get an empty water bottle to chew on & I love it! Oh I looooove crunching on some bottles too! Have fun!! How we all love bottles too, but the Momster takes them away because she says our jaws of steel break them too easily into little pieces that we like to eat:( Good to see you two!!! Those plastic bottles do look like fun! 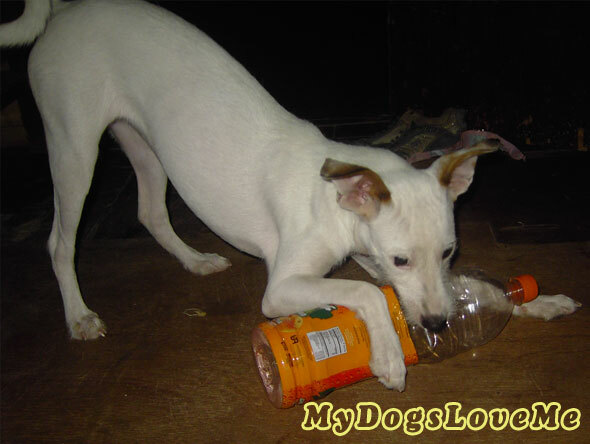 Plastic bottles are the best toys! Oh how I love loud toys!!!! Bottles can be lots of fun! Those look like fun toys but my human won't let me play with them. Bummers! That is what I get for having such strong teeth and jaws! BOL! Have fun! Looks mighty durable to me! 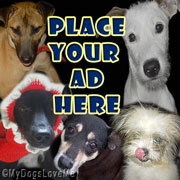 From the looks of things, it passes the test! We are not much into that plastic crinkling crunching sound, but plastic bags...and the sound of them opening...especially if they are purple bags filled with duck jerky...THEN you have our attention! "We make noise and still get away with it cuz we're cute"